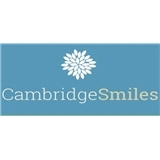 Cambridge Smiles (Cambridge) - Book Appointment Online! *** ALL NEW PATIENTS must first make an appointment with Dr. Sones for a new patient exam. New patients can not have their first appointment with the hygienist so please do not request a dental cleaning as your first visit. Thank you!! *** Our practice is committed to providing you and your family with safe, gentle, high-quality dental care. We understand that you, or your child, may feel anxious about visiting the dentist. We are sensitive to your needs, and it is our goal to make you feel comfortable visiting our practice while providing the best care possible. The staff here are great and really put you at ease. Dr. Sones is fantastic - friendly, compassionate, and professional.